I can't believe we have made it to our 10th Linky Party!! I just love hosting these parties, and I hope you all enjoy being a part of them! I am excited to share some of my favorite links with you from last week! Yall did some great work! By the way, as another way to honor those featured here we will be pinning these featured links to our Pinterest! 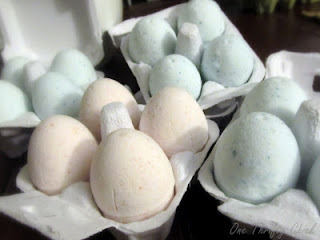 One Thrifty Chick made these awesome egg bath fizzies as Easter gifts! These are so cute and a great gift idea! I would love to make my own bath fizzies! She awesome did a great job with presentation and put them in some cute egg cartons! 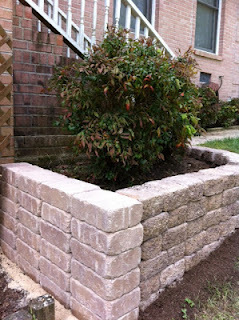 Stop by and check out step-by-step instruction son how to do this! 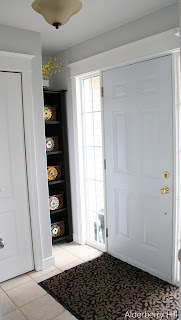 Alderberry Hill redid her front porch, and showed some fun ways to dress up the wicker baskets she uses on her shelves. Stop by and see the transformation she made! A lot of the transformation in my opinion can be seen just by a simple paint color change! She has really inspired me to turn from all the brown and orange hues I have been using and try some lighter ones, like a simple white wall and white accents! It really brightens things up! I love it! Color Me Domestic really knows how to spruce up some plain plastic stuff! 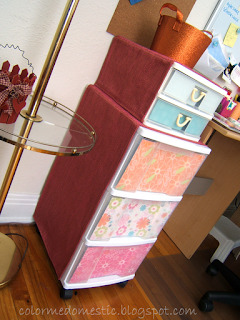 She took plastic drawers that you could get front Wal-Mart and made them look so good! She sewed together some great slip-covers to make the outside nice and homey, and even put some nice scrapbooking paper in the inside of the drawers! Stop by to check out more!! We hope you enjoy all of these fun posts like we do! Now it's your turn to join in on the party and link up all your fun stuff!